The holidays usher in a sense of celebration and opportunities for lavish seasonal gatherings. To leave a luxurious, lasting impression, try these tips from award-winning Chef Michael Voltaggio. The experience: At the start of the event, greet guests with a cocktail topped with fragrant garnish, and introduce unexpected details, such as a passed amuse-bouche atop a slate serving platter. The essentials: Every touchpoint should exude the same level of luxury, from the linens to the culinary tools used. For Voltaggio, this is especially true of kitchen faucets. 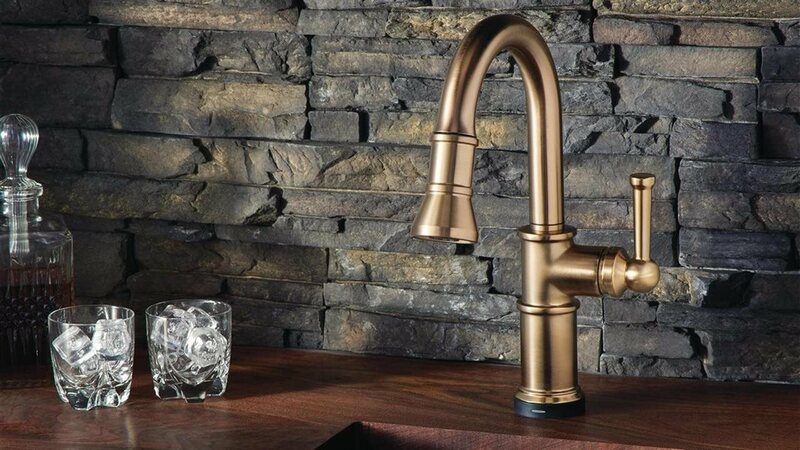 The Artesso SmartTouch Pull-Down Prep Faucet by Brizo offers visual intrigue and touch technology. Lavish pairings: Pair candlesticks of various heights with bone china; carefully select wine pairings for dishes. Finishing touches: Ornament an autumnal risotto with shaved truffle to bring rich depth of flavor or infuse a wintry dessert with liquid nitrogen for an unexpected dining experience.